September 2018 – Détente now! 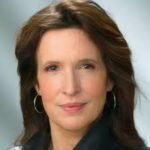 The following article by Katrina vanden Heuvel , chief editor of The Nation magazine, was originally published 25 September 2018 by the Washington Post. We are grateful to the author’s permission to reprint. Her article begins with an appeal in particular to the the Progressives among the U.S. Democrats: “A clear message is needed: Enough with endless wars and the global oligarchy.” ... Now, we need a forceful articulation of a progressive foreign policy. To date, the progressive left’s national security policy has been mostly missing in action. Sen. Bernie Sanders’s (I-Vt.) presidential campaign did much to frame the domestic agenda, but paid less attention to foreign policy. Democrats in Congress have too often criticized President Trump from the right — for not being tough enough on Russia, for questioning the United States’ allies, for preemptive diplomacy with North Korea. There are a few exceptions — such as Sen. Chris Murphy (Conn.)’s emphasis on diplomacy as well as challenges to U.S. misadventures in Afghanistan from Sen. Jeff Merkley (Ore.), Rep. Barbara Lee (Calif.) and Rep. Ro Khanna (Calif.). And the Congressional Progressive Caucus has called for a more sensible military budget. Yet none have gained much traction.